I am pleased to introduce a new guest writer for you hear on Red Ted Art. We have the wonderful Vin Giannetto from Young School Art here today. 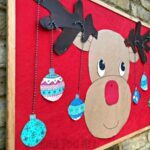 He has a brilliant account on both Instagram and Facebook to follow, with colourful, easy and quirky ideas to make with your preschoolers. 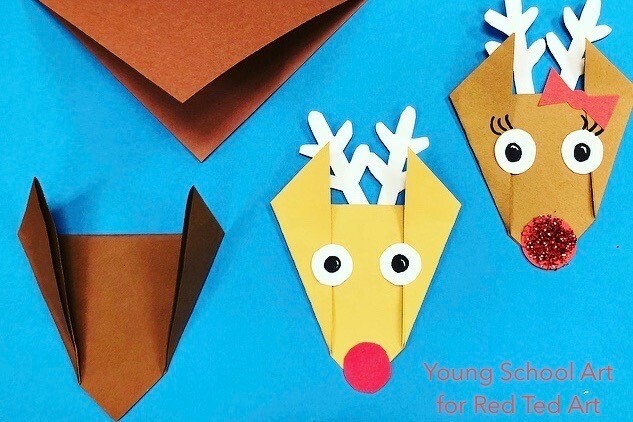 Actually, what am I saying my kids (10yrs and 8yrs olds would LOVE to make these too) And today, he shares with us these wonderful easy origami reindeer!! 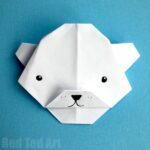 This is a great Origami for Beginners, that then requires a little cutting and decorating skills afterwards. 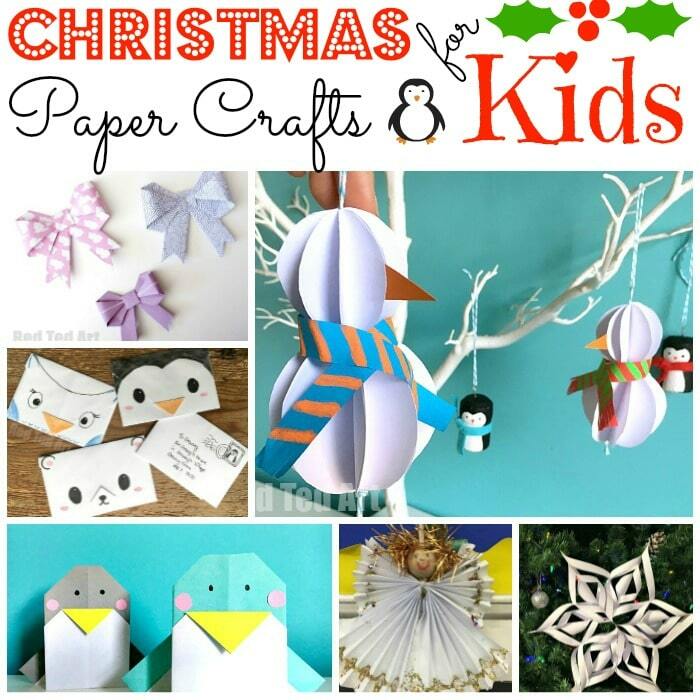 A great way to introduce kids to this acient paper crafting skill! I am in particularly loving the paper art trees the kids made and the festive cactii (just brilliant!). 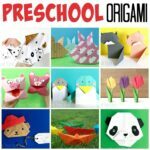 Oh how we love Paper Crafts for Kids! Hi friends! 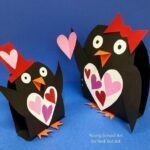 I’m Vin Giannetto from Young School Art and I’m thrilled to be here at Red Ted Art as a guest contributor sharing some of my favorite crafts! Today I brought along a few adorable reindeer friends to help decorate your Christmas tree for the holiday season. 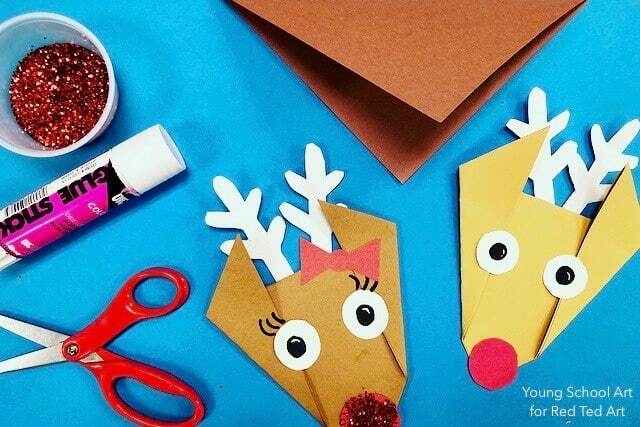 So grab some construction paper and let’s get crafting! 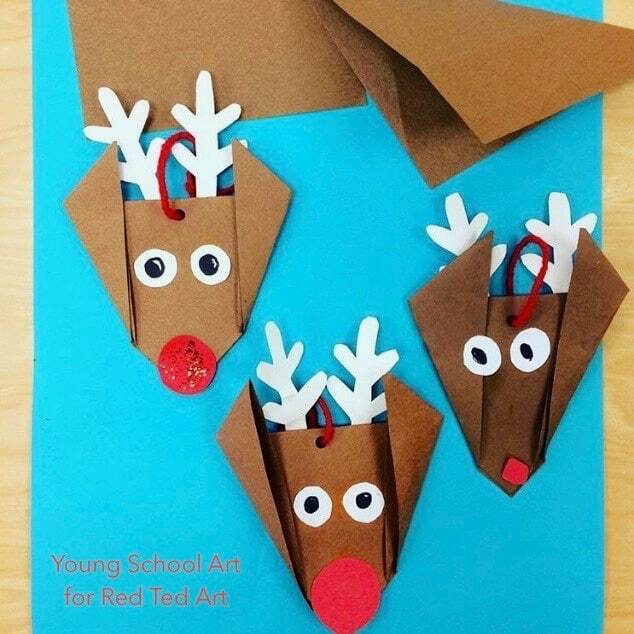 Be sure to tag me on instagram @youngschoolartwithmr.g so I can see how cute your reindeer paper craft ornaments turn out! Step 1: Begin with a 6.5” by 6.5” piece of brown construction paper. 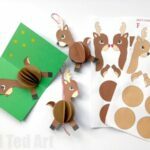 With a few quick folds your reindeer head will be formed! First, fold the paper in half to create a triangle. 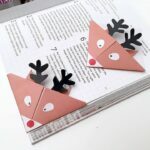 Next, fold up two points of the triangle to form the reindeer’s ears. Be sure to press down to create crisp folds. Step 2: Now it’s time to add some details. 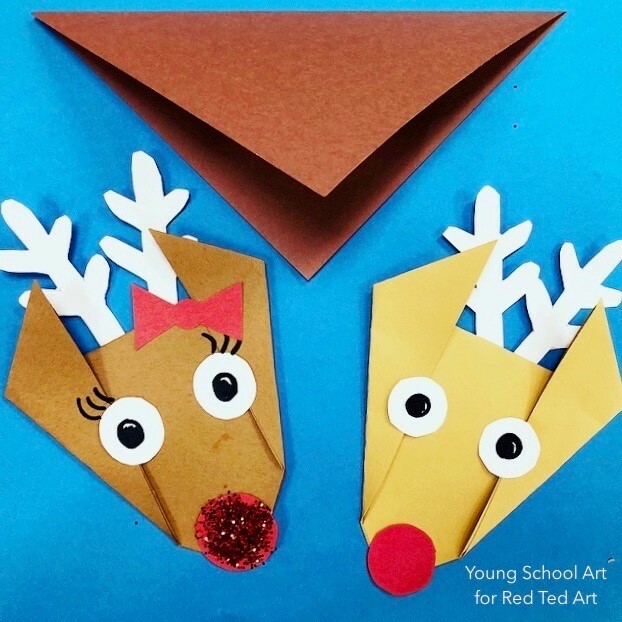 Draw the antlers and eyes on a piece of white paper. 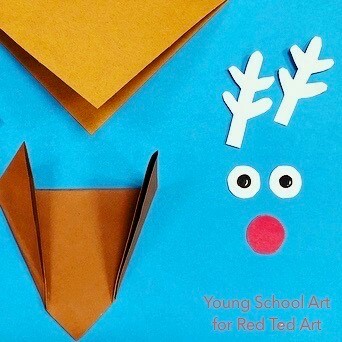 Draw a circle on a piece of red paper to create the nose and a bow if you wish. Cut out all of the pieces. Step 3: Let’s get gluing! Glue on the eyes and nose as well as the optional bow. 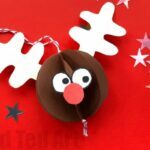 Then, flip over the reindeer and attach the antlers on the back of the project. Glitter fans: add some glitter to create a shiny nose! Step 4: Use a hole punch, attach a piece of yarn and now your little guy is ready to be hung on the Christmas tree. 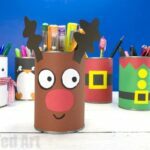 Hmmm I wonder if you’ll create all of Santa’s eight reindeer? I hope you had fun crafting along with me! Keep crafting and I’ll see you soon!